We’ll keep the guessing game open for our fiber giveaway until tomorrow night (that’s Wednesday, March 18th!). Oh, and since it’s proving to be difficult, we’ll put everyone’s name in the bucket for at least venturing a guess, with additional entries for correct guesses on the fiber types. Sound good? Now, head on over to comment on the Giveaway Post and we’ll announce a winner on Thursday! 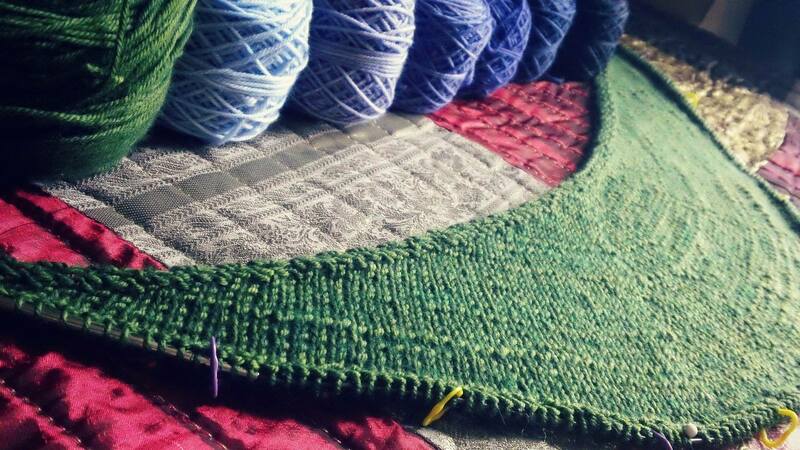 Are you working up a LightWaves shawl, too? Keep up with our intimate little KAL on Ravelry. I’m starting in on my Too Much Pepper waves today, after I peruse videos on the German short row technique. Which short row technique do you like best?